"What do y'all want it for?" M.I.A. asks, right before her fourth LP Matangi goes blank. As the rubble of her 15-track aural assault settles, audiences are left with one thought: What do we do with this shrapnel? For the past 60 minutes, M.I.A. tossed up, smacked down, and cornered the listener all in the name of delivering (or, rather, personifying) Matangi, the Hindu goddess of spoken word and music. It's not so much the audience's deliverance, however. In a way, this is M.I.A. 's penance and rebirth. Yalla, let's go. The sense of something approaching is pervasive throughout the entire album. Mathangi "Maya" Arulpragasam sets us up and taunts us with a microphone. She assumes the role of general, lowering her arm with each drop, yelling fire, and showering us with phonic bullets. "Bring The Noize" is probably the best example of this onslaught, with its overly-aggressive, fast-lipped vocals and speed-laced militant production. There's a reason it was one of four tracks released before Matangi's November 5th debut. Along with the album's lead single, 2012's "Bad Girls," it summarizes the project's entire ethos: freedom with nothing left to lose. Themes of hedonistic excess ("Exodus" and "Sexodus") are flanked by songs of enlightenment ("Lights") and spiritual leadership ("Warriors"). In the latter, M.I.A. delivers an ultimatum between calls to prayer: "This time I come as singer / Next time I'll come as pain." "Come Walk With Me," perhaps the album's most lush, most succinct track, follows her warning with a manifesto: Either we're in or we're out, but she's still going to "fux" with us. But, the heart of the album comes in the final 20 seconds of "Come Walk With Me," where she samples "Bamboo Banga" off her 2007 release, Kala. "M.I.A. comin' back with power, power" isn't just a sound filler, it's a harp back to a moment in her career that was, arguably, her peak. Kala boasted "Paper Planes," the accidental single that had her performing on stage days before giving birth and painted her as a full-fledged pop artist. While that's nice and all, M.I.A. has never been a pop musician in the vein of a Katy or a Britney. Rather, she's the outspoken artist who circles the periphery while straddling the center of it all, ruthlessly providing commentary. That all came to fruition with 2010's /\/\/\Y/\. /\/\/\Y/\ was what IV was for Beyoncé; an album that was true to her own, but far from radio-friendly. Yes, it was a complete mess, but in light of today's discussion of Internet neutrality, hindsight proves it to be somewhat prophetic. We can't ignore it as a misstep, though. And, like any misstep, M.I.A. has some bridges to rebuild. No wonder she included "Bamboo Banga" at the end of her call to arms. Does M.I.A. come back with "power, power?" Well, she's beginning to. She might have made a relatively positive body of work, but she's still unfiltered (see: "Boom Skit"). 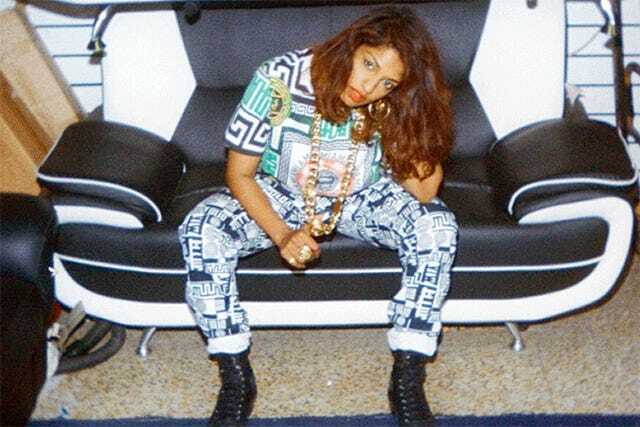 She knows she has a reputation ("Double Bubble Trouble"), but she's seeking a middle ground between anti-pop and pop while still calling out Drake & Co. Matangi is her olive branch — albeit an oily and bumpy one. She has found a way to, as "Y.A.L.A" boldly suggests, be born again. This is karma, and we're about to meet it.